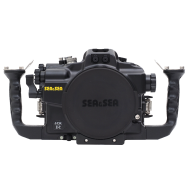 The Sea & Sea underwater housing for the Sony a7III and a7RIII cameras has been designed and shaped for easy operation during your dive. The ergonomically designed controls are positioned for both comfort and easy use. Compatible with all the DX (NX) ports series. Larger diameter lenses can be easily removed through the increased housing port diameter to enable battery exchange in camera body without removing lens. Compatible with all the DX (NX) ports series. Larger diameter lenses can be easily removed through the increased housing port diameter to enable battery exchange in camera body without removing lens. 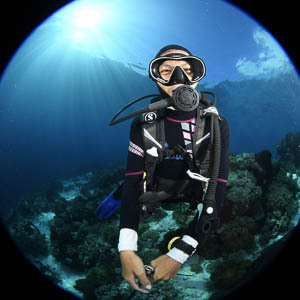 Sea&Sea engineers have designed a unique Buoyancy Pocket*, which can also accommodate accessories such as a mobile battery charger, without compromising the overall size of the housing. The availability of an optional battery charger has addressed battery life of the camera and allows shooting for extended periods without concern of camera power loss. The internal space also contributes to the reduction of the weight underwater. Combined with the lightweight camera body the use of large floats is typically not needed. * Sony original adapter "ADP - MAA" is required separately for connecting camera and optical converter. Equipped with the Optical Viewfinder 0.5x as standard. Other optional viewfinders such as the VF180 1.2x, VF45 1.2x and Optical Viewfinder 0.66x, 0.8x can be used. ※Some vignetting occurs.When the VF180 1.2x is mounted on housing, the uper part of the camera's viewfinder cannot be viewed due to vignetting.